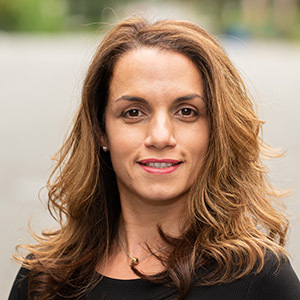 Lisette Roman - Scarsdale Premier Insurance Agency | Advocate Brokerage Corp.
Lissette Roman, Personal Lines Manager, started her 16-year long career in the insurance industry at a young age and hasn’t looked back. She loves building relationships with her clients which is one of the reasons she has found herself at home at Advocate Brokerage. Serving clients by helping them find insurance solutions that are the perfect fit is incredibly rewarding and she looks forward to the work each day. When she is not working, you may find her at the beach. She loves spending time by the ocean taking in the beautiful sunsets, breathing in the sea air and taking walks along the sand.